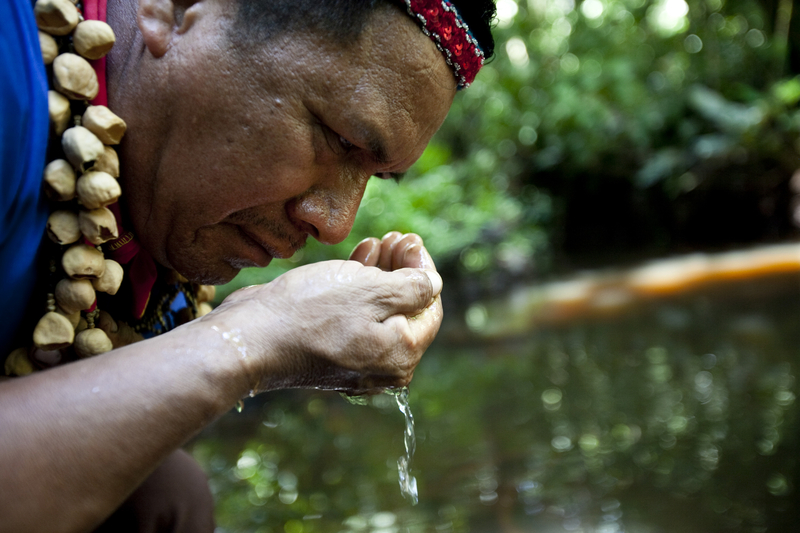 Research that we have undertaken with National Science Foundation support indicates that rural, indigenous, and impoverished citizens in Latin America mobilize on environmental issues out of simple self-interest. In daily testimonials at last week’s meeting in Lima of the United Nations Framework Conference on Climate Change (UNFCC), activists reaffirmed that they have been mobilizing all across Latin America to protect their land and water. The conventional argument in the political science scholarly literature is that environmental issues are a post-materialist concern that influence only the relatively affluent populations of advanced democracies, but our research shows that the self-interest of vulnerable populations in developing countries is a powerful motivation for environmental consciousness. Original data from a national survey we conducted in Ecuador this year point to three interest-driven hypotheses as explaining attitudes towards the environment. First, similar to literature developing in geography, vulnerability to environmental changes that impact on people’s livelihood greatly enhances interest in environmental issues. Second, political competition affects individuals’ environmental concerns because politics determine the extent to which citizens will benefit from extraction as a development policy. Third, we claim – particularly for respondents in the Amazon region subsample – that a respondent’s location on the “extractive frontier” (i.e. whether they live in an area where extraction is under consideration) will affect their level of environmental concern. Using original survey data from Ecuador, we find that populations threatened by environmental change and who are on extractive frontiers (where mining and oil concessions are being considered) are more likely to express concern over the environment, but that these factors are conditional upon how much citizens trust that the government will use profits from extraction to invest in their communities. The meetings in Lima and implementation of its results are testing the findings of our research. The social impact of the 2009 Baguazo – the slaying of some 33 protestors against mining in Peru’s Bagua Province – is still a recent memory to many and is a constant reminder that the “extractive frontier” is long, dynamic, and fraught with social conflict. For Ecuador, Peru, and the other Amazon Basin nations on the front lines of climate change, our findings imply that in this part of the developing world at least, vulnerability to environmental change has a great impact on public opinion. Competing political interests and debate over whether to accept mineral or petroleum extraction is also intense because of the trade-offs they entail between environmental conservation and economic growth. This is not a new debate, but one which is acquiring more precise definition by academics in studies such as ours (click here for full paper) as well as the policymakers who last week pushed the debate onward to Paris in 2015, where a new climate change framework is expected from the UN.